Let me please begin this article by first saying that we all must remember that every child is undeniably different, so please use caution when comparing your child with other children. I understand it is hard to ignore when other children are doing far more than your own child is doing, however children progress at different rates developmentally. Now that that has been said, I also don’t want the wrong message to be sent to anyone reading this. I do believe that if you have your doubts that your child is not reaching developmental milestones and has some delays that you reach out to find the “correct” professional to determine if there truly is a delay present and if intervention is recommended. I no longer can even count how many times I have heard parents share that their doctor has recommended the “watch & see” approach with children with delayed speech and language. So when in doubt, follow your instincts and persist in being proactive. Ask your doctor for a referral for a speech-language pathologist to do a consult and/or an evaluation for your child. Perhaps word it like this “I am interested in ruling out a speech and language disorder with a speech-language pathologist who is specially trained and/or highly qualified in this area”. This does not sound demanding, but rather as if you are reaching out for help. Happy Free App Friday! Please remember to take advantage of Momswithapps.com for Free Friday. They share a very long list of apps and resources to find even more apps on top of that! I recently presented a training “Apps for Communication” for parents. After reading the feedback sheets, I am inspired to write this post and ma ny more just like it. The comment was “I would really like more time spent on how to actually use the recommended apps you suggested”. So here it is…I am going to provide in great detail how I use one of my favorite apps for remediating speech & language disorders/delays. The beauty of this app is that it is super fun and great for all kids! The app is My Play Home Store. I first loved My Play Home, then this came about and I absolutely love this app too! Oh and I better mention that this app only costs $1.99. FREE Speech Therapy App Demo!!! 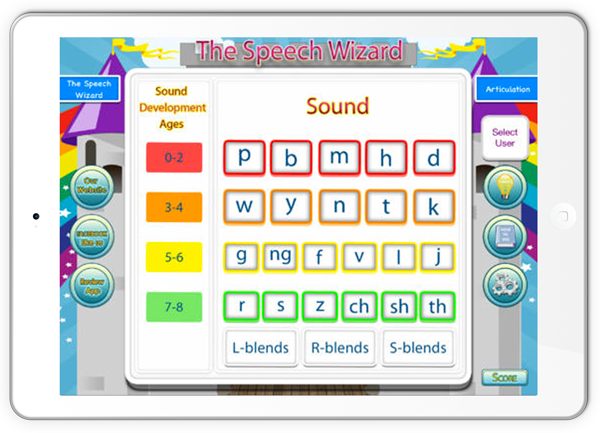 Book a FREE demo with the creator and founder, a licensed speech-language pathologist, of “Articulation with The Speech Wizard” app. How do you determine if an app is appropriate for speech therapy? One App that I use for many speech therapy skills is My PlayHome. There is a Lite version which is great so you can “try it before you buy it”.